By Elizabeth Chu, Head of Investment, IP Global. Ask the person next to you, “Where would you rather live - Sydney or Melbourne?” The range of responses and reasons you’ll receive will provide you with interesting insights into the surprising complexity of the Australian property market. However, for developers looking to build, Aussie expats looking to invest in property back home and foreign investors looking to diversify their real estate portfolio, such decisions are perhaps less dependent on which cities offer the best flat white. My experience as head of investment for global property investment company IP Global tells me that the key to investment success is not just picking between the three highest yielding cities of Sydney, Melbourne and Brisbane, but picking the right type of dwelling that makes the real difference over the long term. No matter the attractiveness of a property’s potential yield, an investor’s ability to unlock their capital is reliant on attracting local buyers to purchase the asset. This is why we take care to ensure properties we recommend will be attractive for buyers over the longer term, and recommend different approaches in different markets – for example, while in Asia we often recommend smaller units, in Australia we’ll very seldom recommend investors purchase this type of dwelling. In fact, this forms the core of our exit strategy for investors. International investors are limited by current Australian regulations to purchase only newly-built dwellings. This means that further down the track, when they are ready to divest, they are limited to selling on to Australians who are not bound by the same restrictions – unless the laws change. 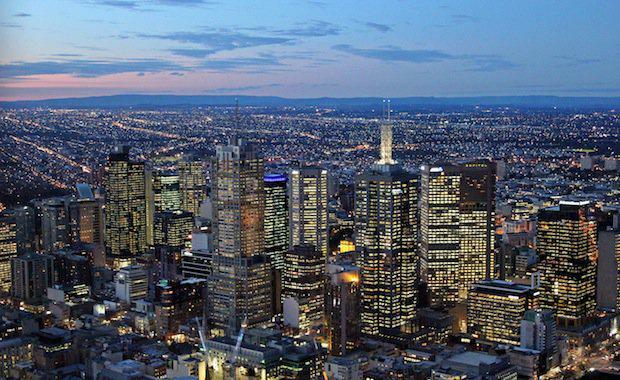 Melbourne is a great example – in terms of saleability and rentability, the secondary market of the city fringes (within a 5-10km radius of the city) is exactly where Australians want to be for lifestyle reasons. The “fringe” is the new hot zone. The attributes that IP Global seeks out in potential investment opportunities are succinctly encapsulated in the acronym P.I.E. : Population growth, infrastructure and economy. As the population grows in an area, so does demand for dwellings. Meanwhile, improvements to infrastructure tend to go hand in hand with population density. A stable economy and employment levels makes for a perfect investment opportunity. Our business model melds together the traditional roles of sales and financing. For instance, we essentially underwrite a portion of a development through our purchase agreements - we are the only global company to do so. The strength in our model is demonstrated by the USD$150 million we’ve transacted in Australian real estate since we entered the market two and a half years ago. What’s unique about this offering for investors is that we’re investing alongside them, providing added surety and peace of mind that our due diligence is second to none. For developers, we provide an opportunity to secure finance on a large block of units in a development, providing them with the orders to reach their financing targets. At IP Global, we’re optimistic about future opportunities for our clients in the Australian market. While property prices are at an all-time high for Australians, the depressed Australian dollar means that the inverse is true for Middle East and Asia-based investors spending currencies pegged to the US dollar, with the exchange rate making Australian property exceptionally good value. This is especially important for expats who are often looking to make a purchase to ensure they aren’t effectively locked out of the market due to periods spent working internationally. I encourage development professionals to ensure projects they’re working on will meet the demands of locals over the longer term, ensuring investors are not only able to profit in the short term, but also execute an exit strategy which sees their property transact for a reasonable value. Elizabeth Chu is Head of Investment at IP Global, a property investment company headquartered in Hong Kong, with offices in 11 cities around the world.